My Name is Agatha Wesmen. For as long as I can remember, I’ve lived in the tiny town of Equin within the Ryokō region. I have always loved Pokémon and growing up at a daycare, I was constantly surrounded by them. But I always wanted to start my own journey in Ryokō. My mother left when I was very little, so I don’t remember her much and my dad…well, he wasn’t the best role model. He was a functioning alcoholic that ran a sleazy breeding program with his Ditto. I was made to work in the daycare every day for dad feared I’d leave him like Mom, so I really had no friends. 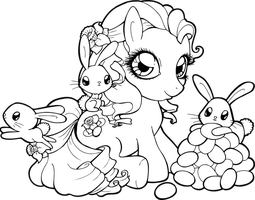 But I did have Adalind, my Eevee. Wanted for Pokemon Role Play! I've been SO bored lately since I became jobless and have so much free time. 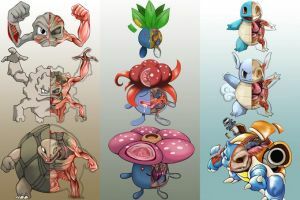 I do feel like I want to get back into role plays and you can never go wrong with a Pokemon one! In the beginning my OC will start out on her journey and yours will be her first battle and travel with her. The story can take any path from there. If interested, leave a description or picture of your OC in the comments. Be sure include your starter Pokemon. 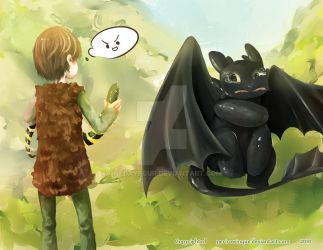 If choosen, I shall send you a note with the first part of the story. The Pony Style versions of my new Dungeons and Dragons story. One of the Characters of my D&D, Evhanjah`Leen is the Eladrin Fighter of the group. I was mostly inspired by Julia Lepetit's Rah'ōxah from Drawfee's Drawga. Her catchphrase is "I'm gonna Punch it till death." One of the Characters of my D&D, Darius is the Halfling Rogue of the group. I needed a brother figure for Flare and I came up with Darius. I also needed someone to constantly argue with 'Leen and considering I made her twice his height... it's just hilarious. One of the Characters of my D&D, Shump is the Half-Orc Cleric of the group. I wanted a big tank guy that doubled as a big puppy dog so I came up with a Surfer Dude Orc. The leader of my D&D team, Maz is the Teifling Ranger of the group. In my story, I wanted to play on the whole Right Brain vs. Left Brain stuff, so I have the two heads of her Hellhound, Devlin, as one creative Spanish character and the other an American drill Sargent. Thank you for the llama badge. Thank you for the watch. Do more Cats the Musical fanart please! Sorry. I've gotten off Cats since I saw a modern version of the play. If I'm ever inspired again I'll get back to them. 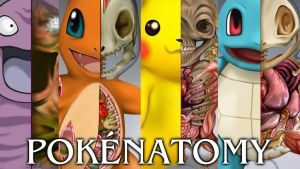 If you enjoy my anatomical artwork please check out my PokéNatomy Kickstarter! Thank you very much for adding "Bunnicula" the furry little critter to your favorites. Thanks for the favorite! It means a lot.